SYRACUSE, NY – The 2018 American Racer Cup presented by Sunoco roared out of the gate over the weekend. ‘Early bird’ registrations at the Northeast Race Products Show in Syracuse, N.Y., were brisk for the upcoming race season with 2017 just recently in the rear-view mirror. Some 14 facilities spread from upstate New York to southern Delaware comprise the ’18 Cup and drivers are anxious to take part in the program which offers $51,450 cash for Modified and Sportsman competitors plus thousands more in tire giveaways. Veteran Modified racer Billy Van Pelt of Westfield, Pa., became the first official 2018 American Racer Cup presented by Sunoco entrant. Van Pelt, driving for Kevin Chilson, will concentrate his efforts at longtime home track Woodhull (N.Y.) Raceway on Saturday nights and the American Racer Cup’s newest member track, Freedom Motorsports Park in Delevan, N.Y., on Friday nights. *Cody Clark of Dolgeville, N.Y., a Sportsman regular at Afton (N.Y.) Motorsports Park. All of the drivers above become eligible for the first tire giveaway of 2018 which will take place at Motorsports held at the Greater Philadelphia Expo Center in Oaks, Pa., Jan. 19-21. The American Racer Cup website has been overhauled detailing 2018 information and can be found on the web at www.theamericanracercup.com. Registration forms have been posted. All ’17 year-end tire certificates have been mailed. Point fund cash will be distributed to racers via check from mid-December to early January. BD Motorsports Media LLC will manage distribution of point fund cash. MILLSBORO, DE – The Short Track Super Series (STSS) announced on Saturday a four-year partnership with Sunoco Race Fuels to commence in the 2018 season. 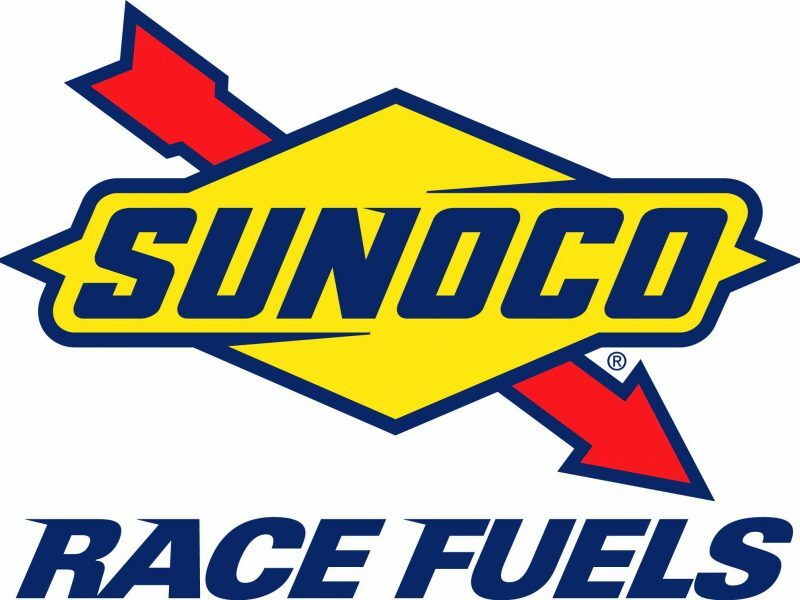 The agreement will bring Sunoco Race Fuels sponsorship to the touring series and offer unprecedented bonuses to drivers competing in the series and at home tracks designated as part of the American Racer Cup, also a Sunoco-sponsored program. The STSS/Sunoco partnership was orchestrated by Northeast distributor Insinger Performance of Dushore, Pa. The STSS will continue in 2018 as a big-block/small-block Modified touring series with North Region events primarily in New York State and a South Region traversing New Jersey, Pennsylvania and Delaware. The American Racer Cup returns as a ‘home-track’ program at approximately 13 venues across the Northeast rewarding drivers for their weekly efforts with more than $50,000 cash and hundreds of tire giveaways. For ’18, the incentives to enter both events will be as follows. The STSS offers $12,500 annually for its North Region champion and $10,000 for its South Region title winner. The American Racer Cup high-point man receives $10,000. Should one driver sweep the STSS and American Racer Cup, the ‘Grand Champion’ would receive $57,500 – the most lucrative title in all of dirt Modified racing! “This agreement brings our whole program up another level,” said STSS promoter Brett Deyo, who also manages the American Racer Cup on behalf of regional American Racer distributor Lias Tire. Bruce Insinger of Sunoco’s Insinger Performance sees only positives from the agreement. Sunoco will also distribute more than $3,000 in complimentary fuel certificates to STSS racers each of the next four seasons. Bob Hilbert Sportswear of Boyertown, Pa., will return to the title sponsorship role again in ’18. 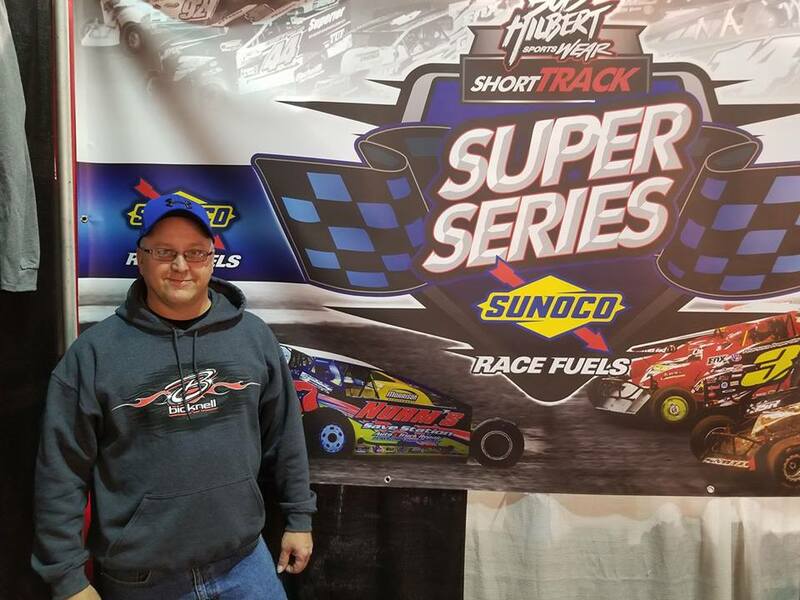 The official series moniker will be Bob Hilbert Sportswear Short Track Super Series Fueled By Sunoco. AFTON, NY – Under the ‘Friday night lights’ at Afton Motorsports Park October 6, there will be plenty of incentive for big-block/small-block Modified racers to get extra track time prior to Saturday’s American Racer Cup Short Track SuperNationals 10 main event. Previously, open Modified practice had been scheduled for the Friday night portion of the weekend. Now, it has gotten more lucrative. 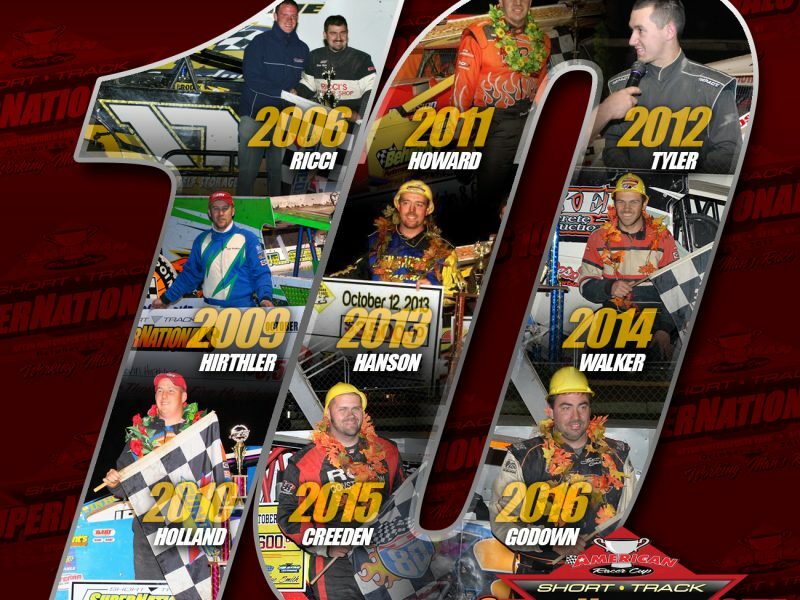 To celebrate the 10th anniversary of the Short Track SuperNationals, the ’10-Spot Dash’ has been instituted for Bob Hilbert Sportswear Short Track Super Series (STSS) Fueled By VP Modifieds. Following timed warm-up sessions, the eight fastest Modifieds on hand will transfer to this 10-lap dash event. The winner earns a guaranteed redraw position for Saturday night’s (October 7) “Working Man’s Race” 50-lap main event. 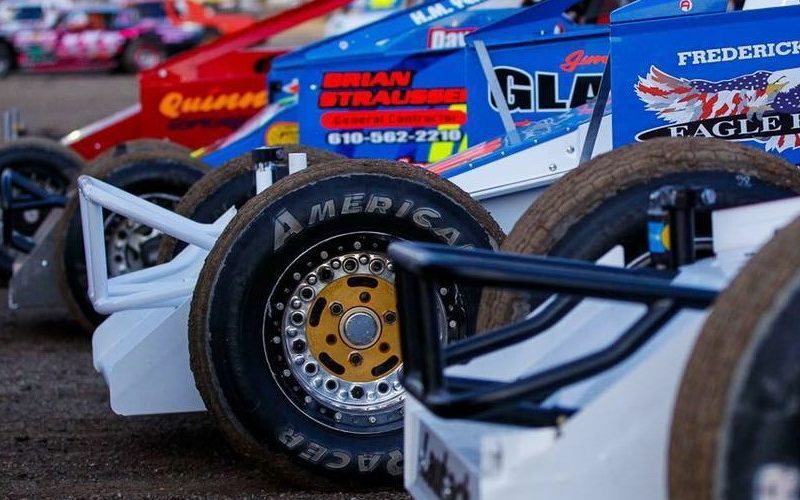 *10th starting spot in the Behrent’s Performance Warehouse ‘Hard Clay Finale’ on Thursday, October 19 at Orange County Fair Speedway in Middletown, N.Y. Remaining drivers in the dash will receive $100 cash. Friday night’s American Racer Cup Short Track SuperNationals 10 program consists of STSS Sportsman racing 35 laps for a $1,500 winner’s share, American Racer Cup Sportsman Match Races ($1,000 to win), CRSA Sprint Cars, FWD Four Cylinders and timed practice rounds for the Modifieds and Street Stocks. The Saturday (October) program is headlined by the 50-lap STSS Modified showcase. New for 2017: the American Racer Cup Modified track champions are invited for one-on-one Match Races. All participants receive a certificate for a FREE tire. The winner takes home a cool $2,000! The Street Stocks will battle 20 laps for a $1,000 winner’s share thanks to sponsor Trackside Products. New this year, Street Stock champions from area speedways are invited for a 15-lap Dash paying $500 cash to win. All participants will receive a certificate for a FREE tire. Also on the Saturday card are the IMCA-Modifieds ($400 to win, $75 to start) and Vintage Modifieds. Afton Motorsports Park is located conveniently off I-88 Exit 7 (Afton), approximately 25 miles north and east of Binghamton, at 46 East Main Street Afton, N.Y. 13730. There is plentiful space for parking and camping. To learn more about Afton Motorsports Park, visit www.aftonmotorsportspark.com. To learn more about the Short Track Super Series or BD Motorsports Media LLC, visit www.shortttracksuperseries.com or www.bdmotorsportsmedia.com, call 845.728.2781 or e-mail bdmotorsportsmedia@gmail.com. “Like” Short Track Super Series on Facebook or follow @ShortTrackSS on Twitter. The 2017 Short Track Super Series is presented by American Racer/Lias Tire, VP Racing Fuel, Bob Hilbert Sportswear, Halmar International, Allstar Performance, ATL Racing Fuel Cells, Behrent’s Performance Warehouse, Bicknell Racing Products, Dirt Track Digest, Fast Axle, Fox Racing Shocks, Hig Fab, Henry’s Exhaust, HyperCo, Keizer Wheels, Kirkey Racing Fabrication, K&N, QA1, Race Pro Weekly, Racing Optics, Speed51.com, Teo-Pro Car, Velocita, Weld & Wilwood. 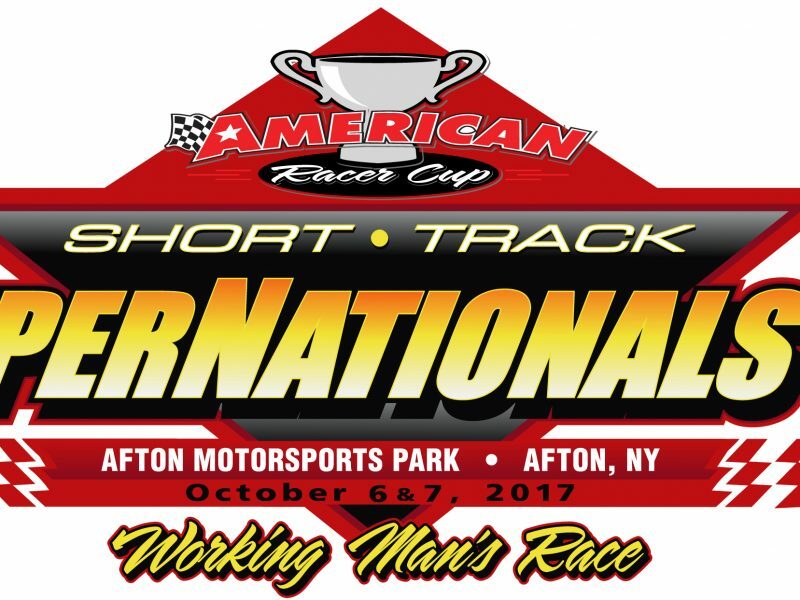 AFTON, NY – Noted “short-trackers” and 2017 champions at their respective speedways – Andy Bachetti, Danny Tyler and Danny Creeden – have set plans to compete in the American Racer Cup Short Track SuperNationals 10 October 6-7 at Afton Motorsports Park. The Modified portion of the program goes green on Saturday, featuring the Bob Hilbert Sportswear Short Track Super Series (STSS) Fueled By VP Halmar International North Region. STSS Modifieds battle for 50 laps paying $5,000-plus to win and $400 to take the green flag for the “Working Man’s Race” 10th anniversary. Additionally, American Racer Cup track champions will take part in one-on-one match races, with the overall winner earning $2,000 from Lias Tire and Sunoco Race Fuels. All participants in the match races receive a certificate for a FREE American Racer tire. Bachetti won the championship at Afton Motorsports Park this season. The Sheffield, Mass., driver also finds himself atop the STSS Halmar North Region standings with two events – including the SuperNationals – remaining. 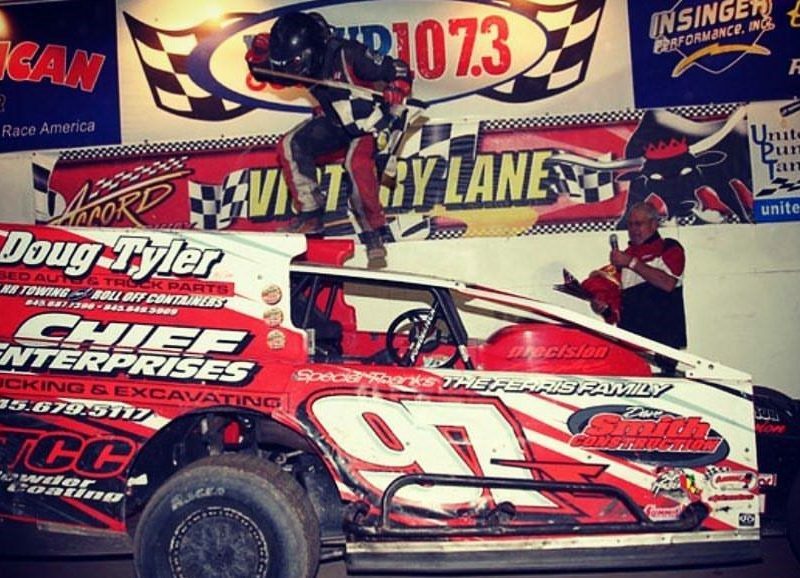 Tyler, of Cottekill, N.Y., broke through with the point title at his longtime home track of Accord (N.Y.) Speedway. 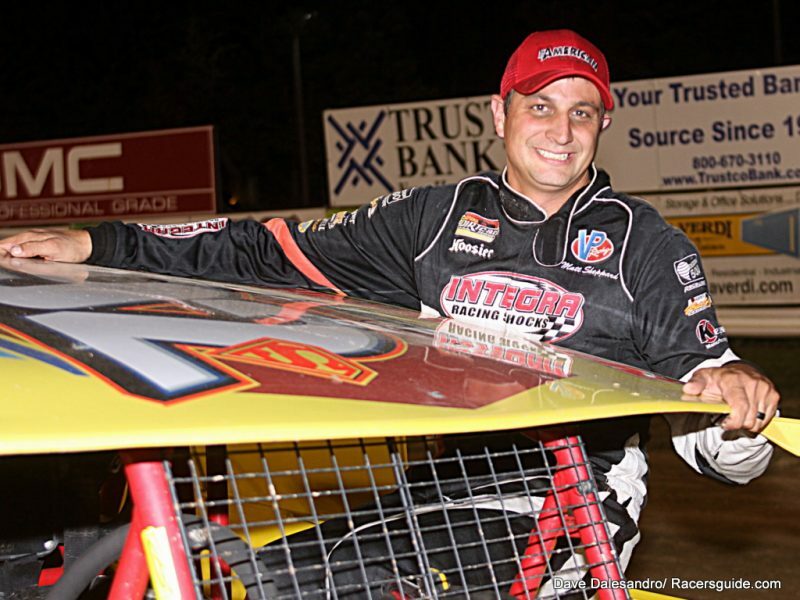 He recently capped his championship season with the $5,000 ‘King of the Catskills’ victory at the Ulster County track. Wurtsboro, N.Y.’s Creeden secured his second championship in a row at Thunder Mountain Speedway in Center Lisle, N.Y.
All three drivers will have the opportunity to race for more than $7,000 in one day at Afton: $5,000 in the 50-lap feature and another $2,000 in the American Racer one-on-one match races. New Egypt (N.J.) Speedway champion Billy Pauch Jr. and Bridgeport (N.J.) Speedway champion Ryan Watt have already announced plans to be at Afton on the 7th representing their home tracks. Joining the STSS Modifieds and American Racer Modified Champion’s Match Races on Saturday (Oct. 7) are Street Stocks receiving $1,000 to win courtesy of Trackside Products plus a Champion’s Dash for Street Stocks paying $500 to win thanks to Lias Tire, IMCA Modifieds ($400 to win) and Vintage Modifieds. Friday’s (Oct. 6) program is headlined by the STSS Open vs. Crate 602 Sportsman in a 35-lap, $1,500 to win (*with Gambler’s Fee posted) main event. Sportsman will have their American Racer Cup Dash on Friday, offering $1,000 to the winner and a certificate for a FREE American Racer tire. Also competing on Friday are the CRSA Sprint Cars, FWD Four Cylinders and Modified/Street Stock practice for Saturday. AFTON, NY – If the 10th anniversary Short Track SuperNationals wasn’t enough, Columbus Day weekend (October 6-7) at Afton Motorsports Park will be even more exciting for fans and lucrative for racers. Thanks to American Racer, regional distributor Lias Tire of Indiana, Pa., and Sunoco Race Fuels, area track champions will have the opportunity to face off at the fairgrounds facility. The American Racer Cup weekend and Short Track SuperNationals have merged for one huge weekend event in 2017. All American Racer Cup presented by Sunoco Modified champions have been extended invitations for Match Races on the Short Track SuperNationals Saturday portion (October 7). Drivers participating in the Match Races will receive a certificate for a FREE American Racer tire. The winner of the ‘king of the hill’ style Modified match races will receive $2,000 cash. Sportsman drivers will take part in a similar program on Friday night (October 6). All American Racer Cup Open and Crate 602 Sportsman champions have been invited for Match Races. The Sportsman Match Race winner earns $1,000; all participants receive a certificate for a FREE American Racer tire. All season-long, home-track American Racer Cup Modified and Sportsman certificates will be available for pick-up at Afton for those in attendance. For the first time ever, Street Stocks will have their own “champion’s challenge” event during the American Racer Cup/Short Track SuperNationals. Area Street Stock tracks utilizing American Racer tires have the opportunity to send their champions to a 15-lap Dash during the Saturday portion of the show. The 15-lap Dash will pay $500 to win and all participants will receive a certificate for a FREE American Racer tire. Two very full days of racing are on the docket at Afton. Friday night, joining the Sportsman American Racer Cup Match Races, are the Bob Hilbert Sportswear Short Track Super Series Fueled By VP Sportsman finale offering 35 laps, $1,500 to win (*with $20 “Gambler’s Fee” posted) and $125 to take the green plus CRSA Sprints, FWD Four Cylinders ($250 to win, $40 to start) and Modified and Street Stock practice, both with incentives. Saturday is topped by the eighth round of the STSS Halmar International North Region for big-block/small-block Modifieds paying $5,000 to win and $400 to start plus Trackside Products Street Stocks paying $1,000 to win, IMCA-Modifieds in a $400-to-win special and Vintage Modifieds (open to all cars). The American Racer Cup Modified Match Races and American Racer Street Stock Dash complete the Saturday card. AFTON, NY – For the 10th consecutive year, the Short Track SuperNationals serves as an affordable option for racers on Columbus Day weekend. The “Working Man’s Race” as it is appropriately known has provided a decade’s worth of opportunities for weekend warriors – Friday, Saturday and Sunday racers – with big paydays and unprecedented headlines. The event, now partnered with the American Racer Cup weekend, celebrates its 10th anniversary on October 6-7 at Afton Motorsports Park, the very same facility that hosted the first back in 2006. Two full days of racing are on the docket at the fairgrounds oval. On Saturday (October 7), the Bob Hilbert Sportswear Short Track Super Series (STSS) Fueled By VP big-block/small-block Modifieds battle for 50 laps offering $5,000-plus to the winner and $400 just to take the green flag! This is the eighth of nine events on the STSS Halmar International North Region. In nine previous Short Track SuperNationals events, there have been no repeat Modified winners. On Friday night (October 6), STSS Sportsman take the spotlight in a 35-lap main offering $1,500 to the winner (*with $20 “Gambler’s Fee” posted, $1,000 without) and $125 to take the green. This is the final of five STSS Sportsman races in 2017 and a champion will be crowned. American Racer Cup Sportsman track champions are invited for one-on-one Match Racers. All participants receive a certificate for a FREE tire. The winner receives $1,000 cash! The CRSA Sprint Cars will make their second SuperNationals appearance on Friday, joined by FWD Four Cylinders racing for $250 to win and $40 to take the green flag. Modifieds and Street Stocks will be invited to practice on Friday night in advance of their Saturday events. MILLSBORO, DE – Matt Sheppard (Modified) and Matt Stangle (Sportsman) have been officially crowned champions of the 2017 American Racer Cup presented by Sunoco. 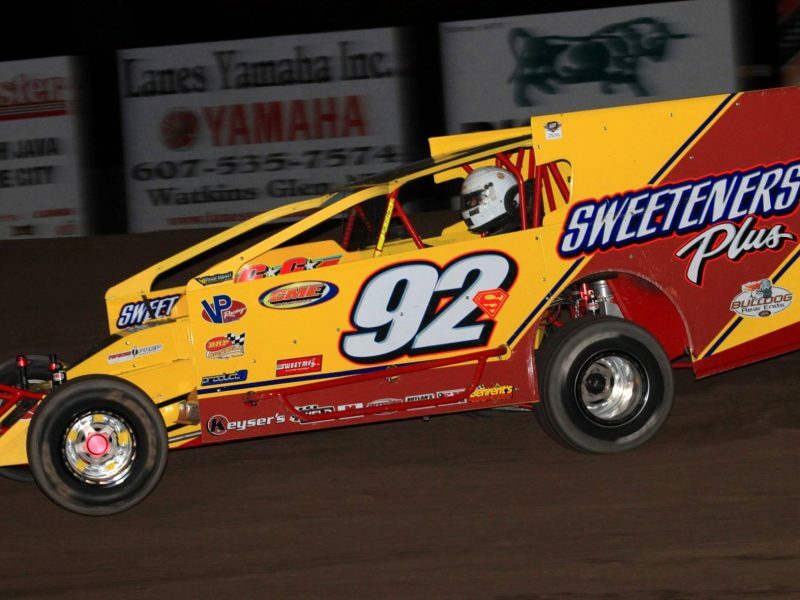 Sheppard, of Waterloo, N.Y., utilized Outlaw Speedway in Dundee, N.Y., as his home track on Friday nights and will collect $10,000 from the point fund for his efforts plus regional bonus money and additional tire certificates. Sheppard’s total cash take is $11,000. The teenager Stangle, of Neshanic Station, N.J., called the spacious Bridgeport Speedway in South Jersey home. Stangle will receive $1,500 in point fund money for the Sportsman overall crown plus regional money and tire certificates. Stangle’s cash total is $2,800. A total of 253 drivers registered for the program during the 2017 season. $51,450 will be distributed to competitors in cash. 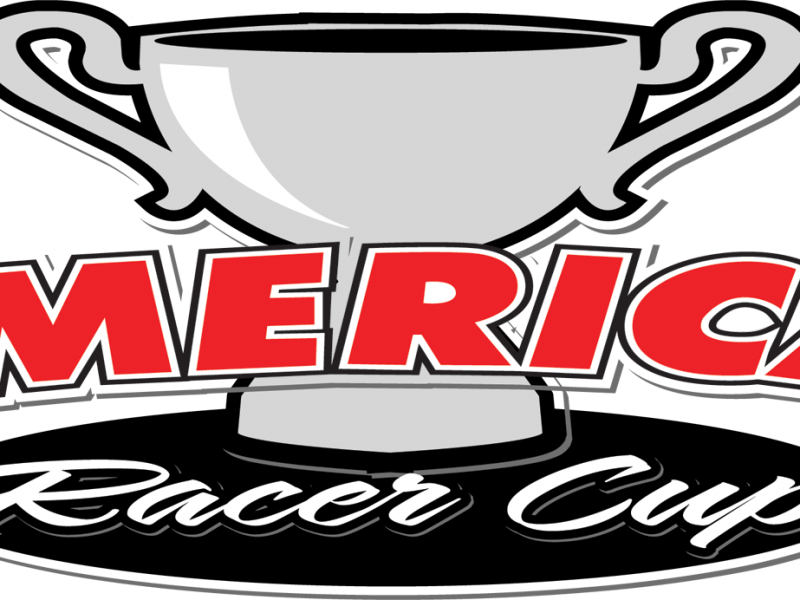 The American Racer Cup counts a driver’s best 12 finishes toward the overall, regional and track standings. Sheppard lived up to his ‘Super Matt’ moniker, winning 10 times from mid-April to Labor Day at Outlaw. He accrued a total of 770 points en route to the overall crown. Boyertown, Pa., driver Ryan Watt – a Bridgeport Speedway regular – finished second with 746 points, worth $5,000. Dan Pompey of Kingsley, Pa., representing Penn Can Speedway in Susquehanna, Pa., was third overall (728 points – $4,000). New Egypt (N.J.) Speedway driver Billy Pauch Jr. of Milford, N.J., ranked fourth (719 points – $3,500) and Craig Von Dohren of Oley, Pa., representing Grandview Speedway in Bechtelsville, Pa., completed the front five (713 points – $2,500). Finishing sixth through 15th, respectively were Woodhull (N.Y.) Raceway regular Billy Van Pelt of Westfield, Pa. (711 points – $2,000); Outlaw’s Alan Johnson of Middlesex, N.Y. (708 points – $1,750); Penn Can regular Joey Grammes of Lehighton, Pa. (697 points – $1,500); Grandview’s Duane Howard of Oley, Pa. (696 points – $1,250); Rick Laubach of Hellertown, Pa., representing Bridgeport (688 points – $1,000); Grandview’s Mike Gular of Boyertown, Pa. (688 points – $900); Woodhull regular Donnie Lawson of Addison, N.Y. (682 points – $800); Danny Creeden representing Thunder Mountain Speedway in Center Lisle, N.Y. (680 points – $700); New Egypt’s Ryan Godown of Ringoes, N.J. (672 points – $600); and Steve Paine of Waterloo, N.Y., from Outlaw (671 points – $500). Insinger Performance of Dushore, Pa., sponsors North and South regional bonuses. The North Region went to Sheppard ($1,000) over Van Pelt ($750), Creeden ($500), Johnson ($350) and Lawson ($250). In the South Region, Watt ($1,000) led Pauch Jr. ($750), Von Dohren ($500), Howard ($350) and Pompey ($250). Stangle utilized nine wins in his ‘best of 12’ at Bridgeport to take the overall Sportsman title. The second-generation Garden State driver earned a total of 780 points. He is also credited with fifth in the overall points for his Friday night efforts competing at Big Diamond Speedway in Minersville, Pa.
Belle Mead, N.J., driver Brian Papiez completed a one-two sweep by Bridgeport drivers in second spot (727 points – $1,000). Mike Schane of Lake Ariel, Pa., from Penn Can was third (723 points – $750), with Dale Welty of Montour Falls, N.Y., fourth representing Woodhull (709 points – $600) and Stangle completing the front five from Big Diamond (707 points – $500). Rounding out the top-15 paid positions were Kyle Rohner of Bushkill Falls, Pa., representing Accord (N.Y.) Speedway (692 points – $450); Stacy Jackson of Woodhull, N.Y., running Crate Sportsman at Skyline Raceway Park in Blodgett Mills, N.Y. (686 points – $400); Brian White of Candor, N.Y., from the Thunder Mountain Open division (679 points – $350); Eric Kormann of Vineland, N.J., from Bridgeport (674 points – $300); Kyle Rohner representing Five Mile Point Speedway in Kirkwood, N.Y. (669 points – $250); Tim Guild of Cameron Mills, N.Y., representing Woodhull (668 points – $200); Brandon Butler of Horseheads, N.Y., (666 points ($150); Jacob Dgien of Hornell, N.Y., from Woodhull (665 points – $100); Chance Spoonhower of Berkshire, N.Y. from Thunder Mountain (664 points – $100); and Welty representing Outlaw (656 points – $100). Insinger Performance also sponsored North and South regional money for Sportsman. Welty won the North Region ($500) over Rohner (Accord – $400), Jackson ($300), Rohner (Five Mile Point – $200) and Brian White ($100). Stangle (Bridgeport – $500) earned the South honors over Papiez ($400), Stangle (Big Diamond – $300), Schane ($200) and Kormann ($100). Each of the participating American Racer Cup speedways declares individual champions, with the top-five in track points based on the driver’s 12 best finishes getting tire certificates as follows (registered drivers only): in the Modified division: 1st) five tires; 2nd) four tires; 3rd) three tires; 4th) two tires; 5th) one tire; in the Sportsman division: 1st) two tires; 2nd) one tire; 3rd) $85 tire certificate. MILLSBORO, DE – Time is winding down for the 2017 American Racer Cup presented by Sunoco, as the $50,000-plus program will be decided on Labor Day Weekend. Only two more weekends of racing at participating tracks in New York, New Jersey, Pennsylvania and Delaware will establish the final rankings for overall, regional and individual track point standings for the Modified and Sportsman divisions. Currently, the $10,000 American Racer Cup Modified points are topped by ‘Super’ Matt Sheppard, calling Outlaw Speedway in Dundee, N.Y., his Friday night home. Sheppard, with 770 points, leads Ryan Watt with 722 points representing Bridgeport (N.J.) Speedway. Alan Johnson, also from Outlaw, is third with 708 points, ahead of Craig Von Dohren with 703 points from Grandview Speedway in Bechtelsville, Pa., and Billy Pauch Jr. with 693 points from New Egypt (N.J.) Speedway. Sixth through 15th, respectively, are Duane Howard (Grandview, 680 points); Rick Laubach (Bridgeport, 678 points) and Mike Gular (Grandview, 678 points); Ryan Godown (New Egypt, 672 points); Billy Van Pelt (N.Y.’s Woodhull, 662 points); Steve Paine (Outlaw, 661 points); Jeff Strunk (Grandview, 659 points); Dom Buffalino (Bridgeport, 645 points); Donnie Lawson (Woodhull, 637 points); and Danny Creeden (N.Y.’s Thunder Mountain Speedway, 636 points). Insinger Performance Regional leaders are Sheppard (North) and Watt (South). Bridgeport’s Matt Stangle leads the way over fellow South Jersey racer Brian Papiez in the Sportsman chase (773-713). Kyle Rohner of Accord (N.Y.) Speedway is third (697). Insinger Performance regional leaders are Rohner (North) and Stangle (South). The top-15 drivers registered for the program overall plus the top-five in each region – both Modified and Sportsman – will share in cash awards. The top drivers from each facility will be eligible for tire giveaways. Drivers must be signed up for the Cup to receive money or awards. Points have been updated through today, August 20. Keep in mind both Big Diamond Speedway and Thunder Mountain Speedway have rain make-up events tonight. *The second Insinger Performance Sportsman North Regional bonus event will be made up on Sunday, September 3 at Thunder Mountain Speedway. *Due to the rain, there are still tracks awaiting certificate handouts. They will be distributed this week via mail. *Keep posted to the Facebook page for “Dog Days of Summer” award recipients.